Hafez al-Assad (Arabic: حافظ الأسد‎ Ḥāfiẓ al-ʾAsad, Levantine Arabic: [ˈħaːfezˤ elˈʔasad], Modern Standard Arabic: [ħaːfɪðˤ al'ʔasad]; 6 October 1930 – 10 June 2000) was a Syrian politician who served as President of Syria from 1971 to 2000. He was also Prime Minister from 1970 to 1971, as well as Regional Secretary of the Regional Command of the Syrian Regional Branch of the Arab Socialist Ba'ath Party and Secretary General of the National Command of the Ba'ath Party from 1970 to 2000. Assad participated in the 1963 Syrian coup d'état which brought the Syrian Regional Branch of the Arab Socialist Ba'ath Party to power, and the new leadership appointed him Commander of the Syrian Air Force. In 1966, Assad participated in a second coup, which toppled the traditional leaders of the Ba'ath Party and brought a radical military faction headed by Salah Jadid to power. Assad was appointed defense minister by the new government. Four years later, Assad initiated a third coup which ousted Jadid, and appointed himself as the undisputed leader of Syria. Assad de-radicalised the Ba'ath government when he took power by giving more space to private property and by strengthening the country's foreign relations with countries which his predecessor had deemed reactionary. He sided with the Soviet Union during the Cold War in turn for support against Israel, and, while he had forsaken the pan-Arab concept of unifying the Arab world into one Arab nation, he sought to make Syria the defender of Arab interests against Israel. When he came to power, Assad organised state services along sectarian lines (the Sunnis became the heads of political institutions, while the Alawites took control of the military, intelligence, and security apparatuses). The formerly collegial powers of Ba'athist decision-making were curtailed, and were transferred to the Syrian presidency. The Syrian government ceased to be a one-party system in the normal sense of the word, and was turned into a one-party state with a strong presidency. To maintain this system, a cult of personality centered on Assad and his family was created by the president and Ba'ath party. Having become the main source of initiative inside the Syrian government, Assad began looking for a successor. His first choice was his brother Rifaat, but Rifaat attempted to seize power in 1983–84 when Hafez's health was in doubt. Rifaat was subsequently exiled when Hafez's health recovered. Hafez's next choice of successor was his eldest son, Bassel. However Bassel died in a car accident in 1994, and Hafez turned to his third choice—his younger son Bashar, who at that time had no political experience. This move was met with criticism within some quarters of the Syrian ruling class, but Assad persisted with his plan and demoted several officials who opposed this succession. Hafez died in 2000 and Bashar succeeded him as President. Hafez was born on 6 October 1930 in Qardaha to an Alawite family of the Kalbiyya tribe. His grandfather, Sulayman Al-Wahhish, gained the nickname Wahhish (wild beast) for his strength. 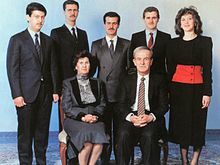 Hafez al-Assad's parents were Na'sa and Ali Sulayman al-Assad. Hafez was Ali's ninth son, and the fourth from his second marriage. Ali Sulayman married twice, had eleven children. By the 1920s he was respected locally, and like many[quantify] others he initially opposed the French Mandate for Syria established in 1923. Nevertheless, Ali Sulayman later cooperated with the French administration and was appointed[by whom?] to an official post. Local residents called him "al-Assad" (the lion) for his accomplishments, and in 1927 he made the nickname his surname. In 1936 he was one of 80 Alawite notables who signed a letter addressed to the French Prime Minister and stating that "[the] Alawi people rejected attachment to Syria and wished to stay under French protection". After graduating from high school, Assad aspired to be a medical doctor, but his father could not pay for his study at the Jesuit University of St. Joseph in Beirut. Instead, in 1950 he decided to join the Syrian Armed Forces. Assad entered the military academy in Homs, which offered free food, lodging and a stipend. He wanted to fly, and entered the flying school in Aleppo in 1950. Assad graduated in 1955, after which he was commissioned a lieutenant in the Syrian Air Force. Upon graduation from flying school he won a best-aviator trophy, and shortly afterwards was assigned to the Mezze air base near Damascus. In his early 20s, he married Anisa Makhlouf in 1957, a distant relative of a powerful family. In 1954, the military split in a revolt against President Adib Shishakli. Hashim al-Atassi, head of the National Bloc and briefly president after Sami al-Hinnawi's coup, returned as president and Syria was again under civilian rule. After 1955, Atassi's hold on the country was increasingly shaky. As a result of the 1955 election Atassi was replaced by Shukri al-Quwatli, who was president before Syria's independence from France. The Ba'ath Party grew closer to the Communist Party not because of shared ideology, but a shared opposition to the West. At the academy Assad met Mustafa Tlass, his future minister of defense. In 1955, Assad was sent to Egypt for a further six months of training. When Gamal Abdel Nasser nationalised the Suez Canal in 1956, Syria feared retaliation from the United Kingdom, and Assad flew in an air-defense mission. He was among the Syrian pilots who flew to Cairo to show Syria's commitment to Egypt. After finishing a course in Egypt the following year, Assad returned to a small air base near Damascus. During the Suez Crisis, he also flew a reconnaissance mission over northern and eastern Syria. In 1957, as squadron commander, Assad was sent to the Soviet Union for training in flying MiG-17s. He spent ten months in the Soviet Union, during which he fathered a daughter (who died as an infant while he was abroad) with his wife. In 1958 Syria and Egypt formed the United Arab Republic (UAR), separating themselves from Iraq, Iran, Pakistan, and Turkey (who were aligned with the United Kingdom). 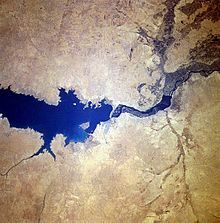 This pact led to the rejection of Communist influence in favor of Egyptian control over Syria. All Syrian political parties (including the Ba'ath Party) were dissolved, and senior officers—especially those who supported the Communists—were dismissed from the Syrian armed forces. Assad, however, remained in the army and rose quickly through the ranks. After reaching the rank of captain he was transferred to Egypt, continuing his military education with future president of Egypt Hosni Mubarak. Assad was promoted to major and then to lieutenant colonel, and by the end of 1964° was in charge of the Syrian Air Force. By the end of 1964 he was named commander of the Air Force, with the rank of major general. Assad gave privileges to Air Force officers, appointed his confidants to senior and sensitive positions and established an efficient intelligence network. Air Force Intelligence, under the command of Muhammad al-Khuli, became independent of Syria's other intelligence organizations and received assignments beyond Air Force jurisdiction. Assad prepared himself for an active role in the power struggles that lay ahead. In its bid to seize power the Military Committee allied themselves with the regionalists, a group of cells in the Syrian Regional Branch that refused to disband in 1958 when ordered to do so. Although Aflaq considered these cells traitors, Assad called them the "true cells of the party"; this again highlighted differences between the Military Committee and the National Command headed by Aflaq. At the Eighth National Congress in 1965 Assad was elected to the National Command, the party's highest decision-making body. From his position as part of the National Command, Assad informed Jadid on its activities. After the congress, the National Command dissolved the Syrian Regional Command; Aflaq proposed Salah al-Din al-Bitar as prime minister, but Assad and Brahim Makhous opposed Bitar's nomination. According to Seale, Assad abhorred Aflaq; he considered him an autocrat and a rightist, accusing him of "ditching" the party by ordering the dissolution of the Syrian Regional Branch in 1958. Assad, who also disliked Aflaq's supporters, nevertheless opposed a show of force against the Aflaqites. In response to the imminent coup Assad, Naji Jamil, Husayn Mulhim and Yusuf Sayigh left for London. While Jadid and his supporters prioritised socialism and the "internal revolution", Assad wanted the leadership to focus on foreign policy and the containment of Israel. The Ba'ath Party was divided over several issues, such as how the government could best use Syria's limited resources, the ideal relationship between the party and the people, the organization of the party and whether the class struggle should end. These subjects were discussed heatedly in Ba'ath Party conclaves, and when they reached the Fourth Regional Congress the two sides were irreconcilable. Assad wanted to "democratize" the party by making it easier for people to join. Jadid was wary of too large a membership, believing that the majority of those who joined were opportunists. Assad, in an interview with Patrick Seale in the 1980s, stated that such a policy would make Party members believe they were a privileged class. Another problem, Assad believed, was the lack of local-government institutions. Under Jadid, there was no governmental level below the Council of Ministers (the Syrian government). When the Ba'athist Iraqi Regional Branch (which continued to support the Aflaqite leadership) took control of Iraq in the 17 July Revolution, Assad was one of the few high-level politicians wishing to reconcile with them; he called for the establishment of an "Eastern Front" with Iraq against Israel in 1968. Jadid's foreign policy towards the Soviet Union was also criticised by Assad, who believed it had failed. In many ways the relationship between the countries was poor, with the Soviets refusing to acknowledge Jadid's scientific socialism and Soviet newspapers calling him a "hothead". Assad, on the contrary, called for greater pragmatism in decision-making. By the Fourth Regional Congress and Tenth National Congress in September and October 1968, Assad had extended his grip on the army, and Jadid still controlled the party. At both congresses, Assad was outvoted on most issues, and his arguments were firmly rejected. While he failed in most of his attempts, he had enough support to remove two socialist theoreticians (Prime Minister Yusuf Zu'ayyin and Minister of Foreign Affairs Brahim Makhous) from the Regional Command. However, the military's involvement in party politics was unpopular with the rank and file; as the gulf between Assad and Jadid widened, the civilian and military party bodies were forbidden to contact each other. Despite this, Assad was winning the race to accumulate power. 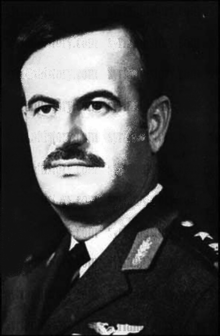 As Munif al-Razzaz (ousted in the 1966 Syrian coup d'état) noted, "Jadid's fatal mistake was to attempt to govern the army through the party". From 25 to 28 February 1969, the Assad brothers initiated "something just short of a coup". Under Assad's authority, tanks were moved into Damascus and the staffs of al-Ba'ath and al-Thawra (two party newspapers) and radio stations in Damascus and Aleppo were replaced with Assad loyalists. Latakia and Tartus, two Alawite-dominated cities, saw "fierce scuffles" ending with the overthrow of Jadid's supporters from local posts. Shortly afterwards, a wave of arrests of Jundi loyalists began. On 2 March, after a telephone argument with head of military intelligence Ali Dhadha, Jundi committed suicide. When Zu'ayyin heard the news he wept, saying "we are all orphaned now" (referring to his and Jadid's loss of their protector). Despite his rivalry with Jundi, Assad is said to have also wept when he heard the news. At the 11th National Congress Assad assured party members that his leadership was a radical change from that of Jadid, and he would implement a "corrective movement" to return Syria to the true "nationalist socialist line". Unlike Jadid, Assad emphasised "the advancement of which all resources and manpower [would be] mobilised [was to be] the liberation of the occupied territories". This would mark a major break with his predecessors and would, according to Raymond Hinnebusch, dictate "major alterations in the course of the Ba'thist state". Assad turned the presidency, which had been known simply as "head of state" under Jadid, into a position of power during his rule. In many ways, the presidential authority replaced the Ba'ath Party's failed experiment with organised, military Leninism; Syria became a hybrid of Leninism and Gaullist constitutionalism. According to Raymond Hinnebusch, "as the president became the main source of initiative in the government, his personality, values, strengths and weaknesses became decisive for its direction and stability. Arguably Assad's leadership gave the government an enhanced combination of consistency and flexibility which it hitherto lacked." Assad institutionalised a system where he had the final say, which weakened the powers of the collegial institutions of the state and party. As fidelity to the leader replaced ideological conviction later in his presidency, corruption became widespread. The state-sponsored cult of personality became pervasive; as Assad's authority strengthened at his colleagues' expense, he became the sole symbol of the government. Because Assad wanted to become an Arab leader, he considered himself a successor to Nasser since he rose to power in November 1970 (a few weeks after Nasser's death). He modeled his presidential system on Nasser's, hailed Nasser for his pan-Arabic leadership and publicly displayed photographs of Nasser with posters of himself. Pictures of Assad—often engaged in heroic activities—were ubiquitous in public places. He named a number of locations and institutions after himself and family members. In schools, children were taught songs praising Assad. Teachers began each lesson with the song "Our Eternal Leader, Hafez al-Assad", and he was sometimes portrayed with seemingly divine attributes. Sculptures and portraits depicted him with the Islamic prophet, Muhammad, and after his mother's death the government produced portraits of her with a halo. Syrian officials were compelled to call Assad "the sanctified one" ("al-Muqaddas"). This strategy was also pursued by his son, Bashar al-Assad. The Islamic uprising began in the mid-to-late 1970s, with attacks on prominent members of the Ba'ath Alawite elite. As the conflict worsened, a debate in the party between hard-liners (represented by Rifaat al-Assad) and Ba'ath liberals (represented by Mahmoud al-Ayyubi) began. The Seventh Regional Congress, in 1980, was held in an atmosphere of crisis. The party leadership—with the exception of Assad and his proteges—were criticised severely by party delegates, who called for an anti-corruption campaign, a new, clean government, curtailing the powers of the military-security apparatus and political liberalization. With Assad's consent, a new government (headed by the presumably clean Abdul Rauf al-Kasm) was established with new, young technocrats. The new government failed to assuage critics, and the Sunni middle class and the radical left (believing that Ba'athist rule could be overthrown with an uprising) began collaborating with the Islamists. The final showdown, the Hama massacre, took place in February 1982 when the government crushed the uprising. Helicopter gunships, bulldozers and artillery bombardment razed the city, killing thousands of people. The Ba'ath government withstood the uprising not because of popular support, but because the opposition was disorganised and had little urban support. Throughout the uprising, the Sunni middle class continued to support the Ba'ath Party because of its dislike of political Islam. After the uprising the government resumed its version of militaristic Leninism, reverting the liberalization introduced when Assad came to power. The Ba'ath Party was weakened by the uprising; democratic elections for delegates to the Regional and National Congresses were halted, and open discussion within the party ended. The uprising made Syria more totalitarian than ever, and strengthened Assad's position as undisputed leader of Syria. Assad's first choice of successor was his brother Rifaat al-Assad, an idea he broached as early as 1980, and his brother's coup attempt weakened the institutionalised power structure on which he based his rule. Instead of changing his policy, Assad tried to protect his power by honing his governmental model. He gave a larger role to Bassel al-Assad, who was rumored to be his father's planned successor; this kindled jealousy within the government. At a 1994 military meeting, Chief of Staff Shihabi said that since Assad wanted to normalize relations with Israel, the Syrian military had to withdraw its troops from the Golan Heights. Haydar replied angrily, "We have become nonentities. We were not even consulted." When he heard about Haydar's outburst, Assad replaced Haydar as Commander of Special Forces with the Alawite Major General Ali Habib. Haydar also reportedly opposed dynastic succession, keeping his views secret until after Bassel's death in 1994 (when Assad chose Bashar al-Assad to succeed him); he then openly criticised Assad's succession plans. The Syrian economy grew five to seven percent during the early 1990s; exports increased, the balance of trade improved, inflation remained moderate (15–18 percent) and oil exports increased. In May 1991 Assad's government liberalised the Syrian economy, which stimulated domestic and foreign private investment. Most foreign investors were Arab states around the Persian Gulf, since Western countries still had political and economic issues with the country. The Gulf states invested in infrastructure and development projects; because of the Ba'ath Party's socialist ideology, Assad's government did not privatize state-owned companies. Assad's government tried to decrease population growth, but this was only marginally successful. One sign of economic stagnation was Syria's lack of progress in talks with the EU on an agreement. The main cause of this failure was the country's difficulty in meeting EU demands to open the economy and introduce reforms. Marc Pierini, head of the EU delegation in Damascus, said that if the Syrian economy was not modernised it would not benefit from closer ties to the EU. Assad's government gave civil servants a 20-percent pay raise on the anniversary of the corrective movement that brought him to power. Although the foreign press criticised Syria's reluctance to liberalize its economy, Assad's government refused to modernize the bank system, permit private banks and open a stock exchange. At 14:05 on 6 October 1973, Egyptian forces (attacking through the Sinai desert) and Syrian forces (attacking the Golan Heights) crossed the border into Israel and penetrated the Israeli defense lines. The Syrian forces on the Golan Heights met with more intense fighting than their Egyptian counterparts, but by 8 October had broken through the Israeli defenses. The early successes of the Syrian army were due to its officer corps (where officers were promoted because of merit and not politics) and its ability to handle advanced Soviet weaponry: tanks, artillery batteries, aircraft, man-portable missiles, the Sagger anti-tank weapon and the 2K12 Kub anti-aircraft system on mobile launchers. With the help of these weapons, Egypt and Syria defeated Israel's armor and air supremacy. Egypt and Syria announced the war to the world first, accusing Israel of starting it, mindful of the importance of avoiding appearing as the aggressor (Israel accused the Arab powers of starting the Six-Day War when they launched Operation Focus). In any case, early Syrian successes helped rectify the loss of face they had suffered following the Six-Day War. On 14 October, Egypt began a limited offensive against Israel for political reasons. Sadat needed Assad on his side for his peace policy with Israel to succeed, and military action was a means to an end. The renewed Egyptian military offensive was ill-conceived. 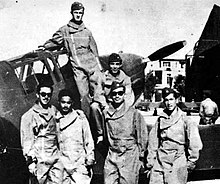 A week later, due to Egyptian inactivity, the Israelis had organised and the Arabs had lost their most important advantage. While the military offensive gave Assad hope, this was an illusion; the Arabs had already lost the war militarily. Egypt's behavior during the war caused friction between Assad and Sadat. Assad, still inexperienced in foreign policy, believed that the Egyptian–Syrian alliance was based on trust and failed to understand Egypt's duplicity. Although it was not until after the war that Assad would learn that Sadat was in contact with American National Security Advisor Henry Kissinger almost daily during the war, the seeds of distrust had been sown. Around this time, Sadat called for an American-led ceasefire agreement between Egypt, Syria and Israel; however, he was unaware that under Kissinger's tenure the United States had become a staunch supporter of Israel. On 16 October, Sadat—without telling Assad—called for a ceasefire in a speech to the People's Assembly, the Egyptian legislative body. Assad was not only surprised, but could not comprehend why Sadat trusted "American goodwill for a satisfactory result". Soviet Premier Alexei Kosygin visited Cairo, urging Sadat to accept a ceasefire without the condition of Israeli withdrawal from the occupied territories. While Sadat was reluctant at first, Kosygin returned on 18 October with satellite images showing 300 Israeli tanks in Egyptian territory. The blow to Sadat's morale was such that he sent a cable to Assad, obliquely saying that all hope was lost. Assad, who was in a better position, was still optimistic. Under Soviet influence Egypt called for a ceasefire on 22 October 1973, direct negotiations between the warring parties and the implementation of the UN Security Council Resolution 242. The ceasefire resolution did not call for Israeli withdrawal from its occupied territories. Assad was annoyed, since he had not been informed beforehand of Sadat's change in policy (which affected them both). On 23 October the Syrian government accepted the ceasefire, spelling out its understanding of UN Resolution 338 (withdrawal of Israeli troops from the occupied territories and the safeguarding of Palestinian rights). We did not go into Lebanon to achieve any regional ambitions, nor for any selfish or opportunistic motives. On the contrary, it was at the expense of our economy and our daily bread. On 31 May 1976, Syria began a full-scale intervention in Lebanon to (according to the official Syrian account) end bombardment of the Maronite cities of Qubayat and Aandqat. 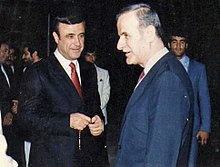 Before the intervention, Assad and the Syrian government were one of several interests in Lebanon; afterwards, they were the controlling factors in Lebanese politics. On Assad's orders, the Syrian troop presence slowly increased to 30,000. Syria received approval for the intervention from the United States and Israel to help them defeat Palestinian forces in Lebanon. The Ba'athist group As-Sa'iqa and the PLA's Hittīn brigade fought Palestinians who sided with the LNM. Within a week of the Syrian intervention, Christian leaders issued a statement of support. In a 1976 diplomatic cable released by WikiLeaks, a US diplomat stated "if I got nothing else from my meeting with Frangie, Chamoun and Gemayel, it is their clear, unequivocal and unmistakable belief that their principal hope for saving Christian necks is Syria. They sound like Assad is the latest incarnation of the Crusaders." Muslim leaders established a joint command of all Palestinian groups except As-Sa'iqa, which was driven by the PLO to its stronghold near the main airport. Shortly afterwards, As-Sa'iqa and other leftist Damascus forces were absorbed by the Syrian military. On 8 June 1976 Syrian forces were pushed back from Sidon, encountering stiff resistance in Beirut from the LNM. Assad's actions angered much of the Arab world however and the sight of Syria trying to eliminate the PLO brought criticism upon him. There was considerable hostility to Assad's alliance with the Maronites in Syria. As a result, the Syrian government asked the Arab League to assist in the conflict. The Arab League began to mediate, establishing the Arab Deterrent Force (ADF) for peacekeeping. Syrian strategy at this point was to gradually weaken the LNM and its Palestinian collaborators, continuing to support the Christian militia. However, the Syrians were unable to capture the LNM's stronghold of Aley before the Arab League called for a ceasefire on 17 October. The Arab League strengthened the ADF to 30,000 troops, most Syrian. While some heavy fighting continued, by December 1976 and January 1977 most Palestinian and Lebanese groups had disposed of their heavy weaponry. According to Charles Winslow, the "main phase" of the Lebanese Civil War had ended by 1977; until the early 1990s most violence was attributed to turf, proxy, inter-communal and state wars. Assad used terrorism and intimidation to extend his control over Lebanon. Jumblatt died in a 1977 assassination allegedly ordered by Syria; in 1982, Syrian agents assassinated Lebanese President Bachir Gemayel (who was helped to power by the Israelis during the 1982 Lebanon War). Jumblatt and Gemayel had resisted Assad's attempts to dominate Lebanon. Assad caused the failure of the 1983 Lebanon–Israel agreement, and by proxy guerrilla warfare forced the Israeli Defense Forces to withdraw to southern Lebanon in 1985. Terrorism against Palestinians and Jordanian targets during the mid-1980s thwarted the rapprochement between King Hussein of Jordan and the PLO, slowing Jordanian–Israeli cooperation in the West Bank. ^ Historical Dictionary of Syria. ^ a b Reich 1990, p. 52. ^ Seale, Patrick (1990) . "1: Coming Down the Mountain". Asad: The Struggle for the Middle East. Political Science / Middle Eastern studies (revised ed.). Berkeley: University of California Press. p. 3. ISBN 9780520069763. Retrieved 31 March 2019. Around the turn of the century, an itinerant Turkish wrestler came one day to a village in the mountains of north-west Syria and [...] offered to take on all comers. A powerfully built man already in his forties stepped forward, seized the wrestler by the middle and threw him to the ground. Wahhish!, the villagers cried admiringly. 'He's a wild man!'. Their champion's name was Sulayman. From then on he was known as Sulayman Al-Wahhish [...]. This was Hafiz Al-Asad's grandfather. ^ a b Alianak 2007, pp. 127–128. ^ a b Zahler 2009, p. 25. ^ a b Seale 1990, p. 20. ^ a b c d e f g h i j Alianak 2007, p. 128. ^ a b c d e Zahler 2009, p. 28. ^ Amos 2010, p. 70. ^ a b c d Zahler 2009, pp. 29–31. ^ Zahler 2009, pp. 28–29. ^ a b c Zahler 2009, p. 31. ^ a b c d e f Reich 1990, p. 53. ^ a b Alianak 2007, p. 129. ^ Tucker & Roberts 2008, p. 168. ^ Seale 1990, p. 49. ^ a b Zahler 2009, p. 34. ^ a b c d e Zahler 2009, p. 32. ^ Leverett 2005, p. 231. ^ a b c d Seale 1990, pp. 50–51. ^ Zahler 2009, p. 33. ^ a b c d Zahler 2009, pp. 32–34. ^ a b c Seale 1990, p. 98. ^ a b Seale 1990, pp. 60–61. ^ a b Zahler 2009, p. 38. ^ a b c Seale 1990, p. 75. ^ a b c Reich 1990, pp. 53–54. ^ Seale 1990, p. 76. ^ a b c d e f Seale 1990, p. 77. ^ a b c d e f Seale 1990, p. 89. ^ a b c Seale 1990, p. 90. ^ a b c d Reich 1990, p. 54. ^ a b c Seale 1990, p. 87. ^ Seale 1990, p. 94. ^ a b c d Seale 1990, p. 95. ^ a b c Seale 1990, p. 96. ^ Devlin 1975, p. 330. ^ Rabinovich 1972, p. 192. ^ Seale 1990, p. 100. ^ Seale 1990, p. 101. ^ a b c d e Seale 1990, p. 104. ^ a b c d Seale 1990, p. 105. ^ a b Seale 1990, p. 110. ^ a b c d e Seale 1990, p. 112. ^ a b c d e f Seale 1990, p. 113. ^ a b c d e f Seale 1990, p. 142. ^ a b c Seale 1990, p. 143. ^ a b c d e f g h i j Seale 1990, p. 144. ^ a b c d Seale 1990, p. 145. ^ a b c d e Seale 1990, p. 146. ^ a b Seale 1990, p. 147. ^ a b c d e f Seale 1990, p. 148. ^ a b c d e f Seale 1990, p. 149. ^ a b c d e Seale 1990, p. 150. ^ a b c d e f g h i j k Seale 1990, p. 151. ^ a b c Seale 1990, p. 152. ^ a b c Seale 1990, p. 153. ^ a b c d e Seale 1990, p. 164. ^ Seale 1990, p. 169. ^ a b c d e Seale 1990, p. 170. ^ a b Seale 1990, p. 190. ^ a b c d e f g h i Seale 1990, p. 171. ^ Seale 1990, p. 175. ^ a b c Hinnebusch 2001, p. 61. ^ a b c d Hinnebusch 2001, p. 63. ^ a b c d e f Hinnebusch 2001, p. 65. ^ a b Reich 1990, p. 57. ^ a b c d e f g h Pipes 1995, pp. 15–16. ^ Zisser 2006, p. 50. ^ a b c d Hinnebusch 2001, p. 69. ^ a b c d Hinnebusch 2001, p. 72. ^ a b Hinnebusch 2001, p. 74. ^ Hinnebusch 2001, pp. 72–73. ^ a b c Hinnebusch 2001, p. 73. ^ Hinnebusch 2001, pp. 65–66. ^ a b c d e f Hinnebusch 2001, p. 66. ^ a b c d e Batatu 1999, p. 226. ^ a b c d Batatu 1999, p. 227. ^ a b c Hinnebusch 2001, p. 85. ^ a b c Hinnebusch 2001, p. 86. ^ a b Hinnebusch 2001, pp. 86–89. ^ Hinnebusch 2001, p. 89. ^ a b c d e f g Hinnebusch 2001, p. 90. ^ a b Hinnebusch 2001, p. 94. ^ a b c d e f g h i Hinnebusch 2001, p. 95. ^ a b c d e f g h i Hinnebusch 2001, p. 96. ^ a b c d Hinnebusch 2001, p. 97. ^ a b c Hinnebusch 2001, p. 98. ^ a b c Batatu 1999, p. 232. ^ a b c d Batatu 1999, p. 230. ^ a b c d e Batatu 1999, p. 233. ^ Batatu 1999, pp. 233–234. ^ a b c d e f g h i Batatu 1999, p. 234. ^ a b c Batatu 1999, p. 235. ^ a b c Batatu 1999, p. 236. ^ a b c d Blandford 2006, p. 55. ^ a b c d e Batatu 1999, p. 237. ^ Batatu 1999, pp. 237–238. ^ a b Batatu 1999, p. 238. ^ a b c d e f g h i Pipes 1996, p. 29. ^ a b c Pipes 1996, p. 30. ^ Blandford 2006, p. 56. ^ Blandford 2006, pp. 55–56. ^ Blandford 2006, p. 53. ^ a b c d e f Ziser 2001, p. 154. ^ a b Ziser 2001, p. 160. ^ Blandford 2006, p. 69. ^ Ziser 2001, p. 161. ^ a b c d Ziser 2001, p. 166. ^ Seddon 2004, p. 76. ^ a b c d e Zisser 2002, pp. 552–553. ^ Ball 2010, p. 110. ^ Freedman 2002, p. 105. ^ Ahmad 2010, p. 313. ^ Reich 1990, p. 56. ^ Reich 1990, pp. 59–60. ^ Olmert 1986, pp. 683–684. ^ Zisser 1995, pp. 728–729. ^ Zisser 2002, pp. 598–599. ^ Zisser 2002, p. 599. ^ a b c d e Seale 1990, p. 185. ^ a b Seale 1990, p. 186. ^ a b c d Seale 1990, p. 187. ^ Seale 1990, p. 188. ^ a b c d e Seale 1990, p. 189. ^ a b Seale 1990, p. 192. ^ Seale 1990, pp. 193–194. ^ Seale 1990, p. 194. ^ a b Seale 1990, p. 195. ^ a b c d Seale 1990, p. 197. ^ Seale 1990, pp. 197–199. ^ a b c d e Seale 1990, p. 205. ^ Seale 1990, p. 207. ^ a b c d Seale 1990, p. 208. ^ Seale 1990, p. 209. ^ Seale 1990, p. 210. ^ Seale 1990, p. 211. ^ a b c Seale 1990, p. 212. ^ Seale 1990, pp. 212–213. ^ a b c Seale 1990, p. 213. ^ Seale 1990, pp. 214–215. ^ Seale 1990, pp. 215–218. ^ a b Seale 1990, p. 219. ^ a b c Seale 1990, p. 220. ^ a b c d Seale 1990, p. 221. ^ Seale 1990, p. 224. ^ Dawisha 2005, p. 273. ^ Winslow 2012, p. 194. ^ Seale 1990, p. 267. ^ a b Winslow 2012, pp. 194–195. ^ Gilmour 1983, p. 131. ^ a b c Winslow 2012, p. 195. ^ a b Winslow 2012, p. 197. ^ a b c d e f g h i j k Winslow 2012, p. 198. ^ a b Winslow 2012, p. 199. ^ a b c d e Winslow 2012, p. 201. ^ a b c d e f g h i Winslow 2012, p. 202. ^ Gilmour 1983, p. 139. ^ a b c Winslow 2012, p. 204. ^ Winslow 2012, p. 205. ^ a b c d e Reich 1990, p. 61. Devlin, John (1975). The Baath Party: a History from its Origins to 1966 (2nd ed.). Hoover Institution Press. ISBN 0817965610. Olmert, Yosef (1986). Shaked, Haim; Dishon, Daniel (eds.). Middle East Contemporary Survey. 8. The Moshe Dayan Center. ISBN 978-965-224-006-4. Olmert, Yosef (1988). Rabinovich, Itmar; Shaked, Haim (eds.). Middle East Contemporary Survey. 10. The Moshe Dayan Center. ISBN 978-0-8133-0764-0. Zisser, Eyal (1993). Ayalon, Ami (ed.). Middle East Contemporary Survey. 15. The Moshe Dayan Center. ISBN 978-0-8133-1869-1. Zisser, Eyal (1995). Ayalon, Ami (ed.). Middle East Contemporary Survey. 16. The Moshe Dayan Center. ISBN 978-0-8133-2133-2. Zisser, Eyal (2002). Maddy-Weitzman, Bruce (ed.). Middle East Contemporary Survey. 23. The Moshe Dayan Center. ISBN 978-965-224-049-1.